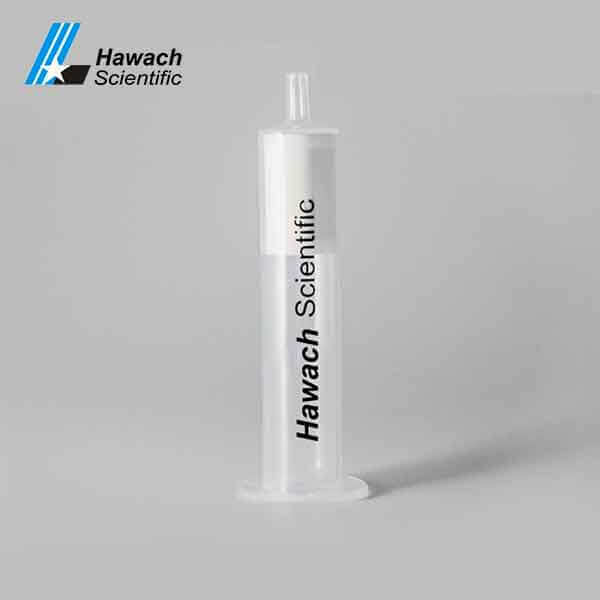 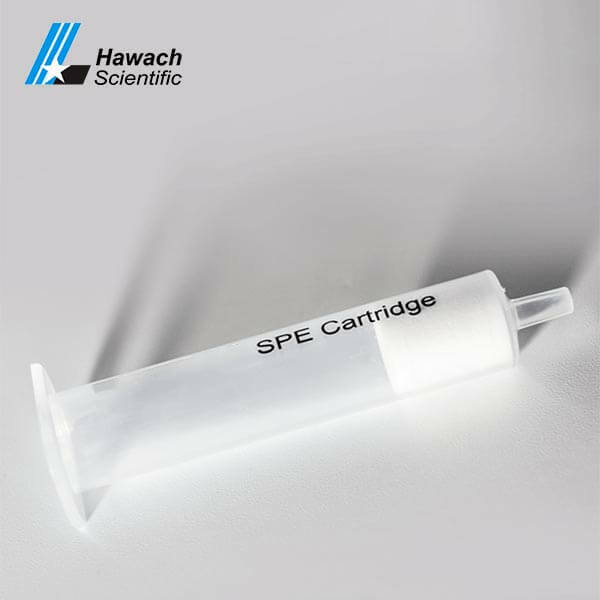 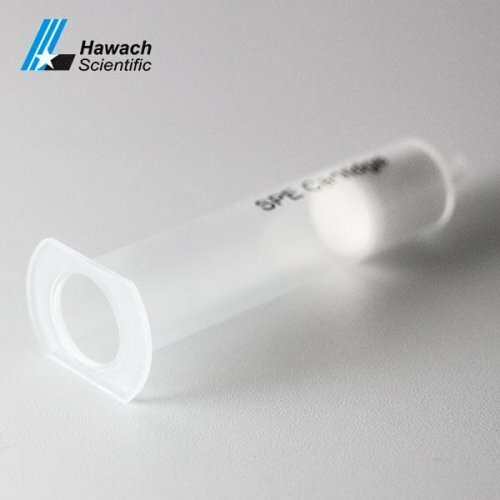 Reversed Phase C18A SPE Cartridges are kind of new SPE products, This analyst compound is widely used for mass spectrum and some very sensitive analyst instrument to get high-efficiency compounds goal for Reversed Phase C18A SPE Cartridges is to the SPE end user, what we offer is high-efficiency C18A cartridges with quality control, the analyst data provide high quality compared to other competitive product, Hawach SPE was produced by using stringent performance and cleanliness specification for extractable. It also retained are Non-polar to moderately polar in a polar matrix. 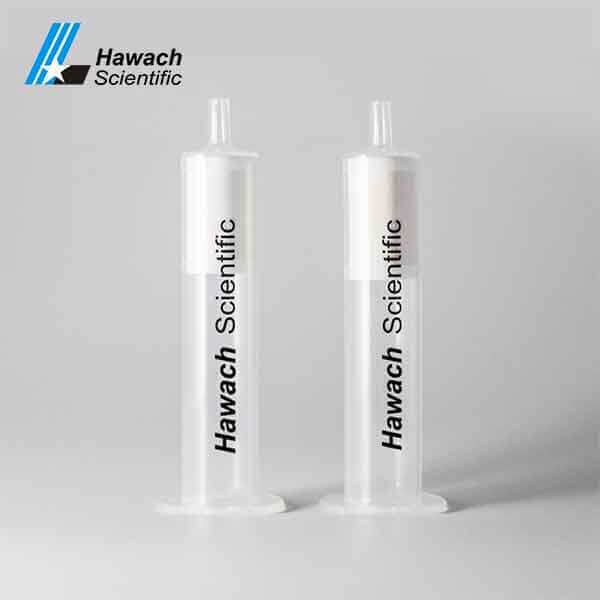 Separate Pesticides from trace water enrichment. 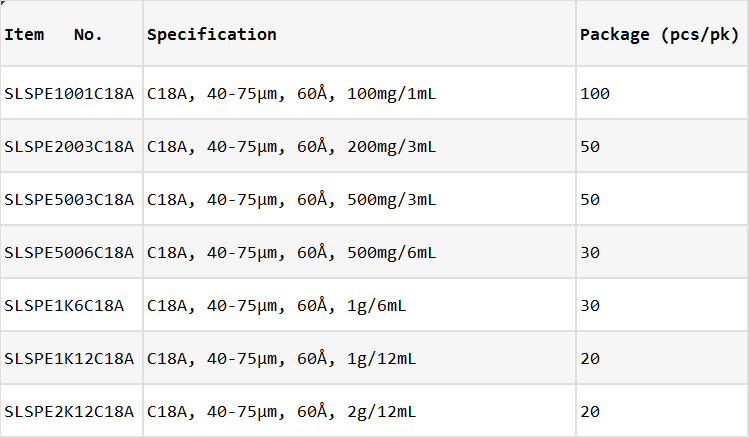 Separate Organic Acids from red wine. 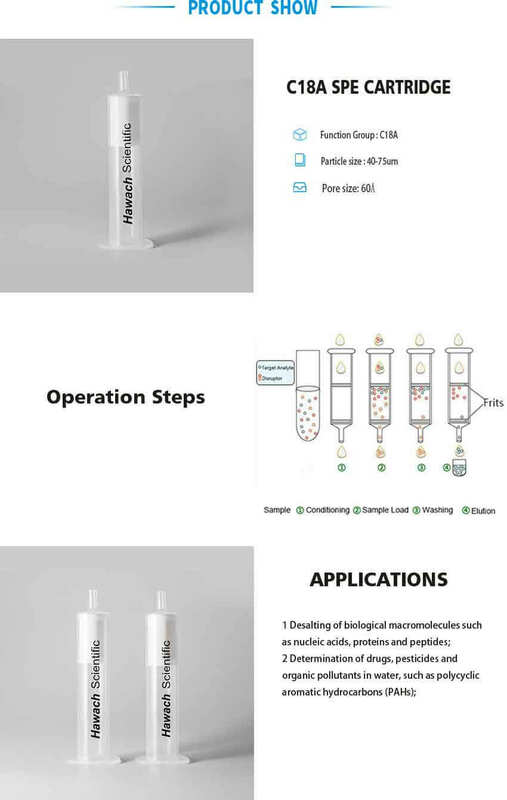 Separate drug compounds from serum, plasma, and urine.